The summer may be coming to an end but the vibrant village of Doolin remains alive and kicking throughout the autumn and winter seasons with a series of local events taking place throughout the area. With lots to see and do this September and beyond, we thought we’d give you some inspiration about all the wonderful things to do in County Clare – the perfect destination for an autumn or winter break! From festivals to music sessions, cultural evenings to fundraising events, and everything in between, Doolin and its surrounding area is a hub of entertainment. Check out some of the upcoming events in Doolin below! Be part of 2 special fundraising events taking place in aid of 2 very worthy local causes, the RNLI and Doolin Rescue. 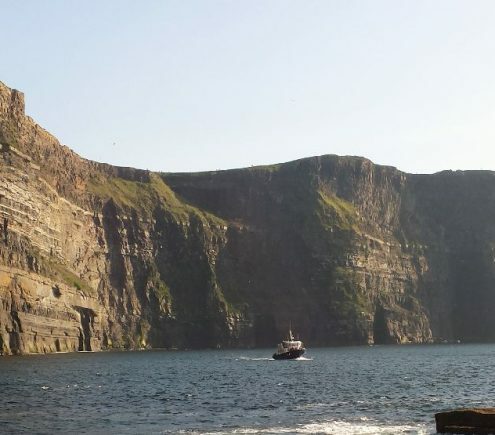 Experience an evening Cliffs of Moher Cruise with international singer Sean Keane and a host of local musicians, good food and refreshments on board, this August and September. Tickets on sale now. Thursday 23rd August & Friday 7th September 2018 from 6pm – 8pm. Please arrive at Doolin Pier no later than 5.30pm. Tickets are priced at €50 per person and full event details and ticket info can be found here. The world-famous Lisdoonvarna Matchmaking Festival returns this year and features some of the top names in Irish and country music such as Gerry Guthrie, Lisa McHugh, Declan Nerney, Mike Denver, Derek Ryan and more. The month-long festival takes place in Lisdoonvarna, just over 7km from Doolin Village – easily reached by car, bus or taxi. Friday 31st August – Thursday 30th September 2018. The festival is free, however, main marquee gig tickets are priced from €30 per person. Full event details and ticket info can be found here. 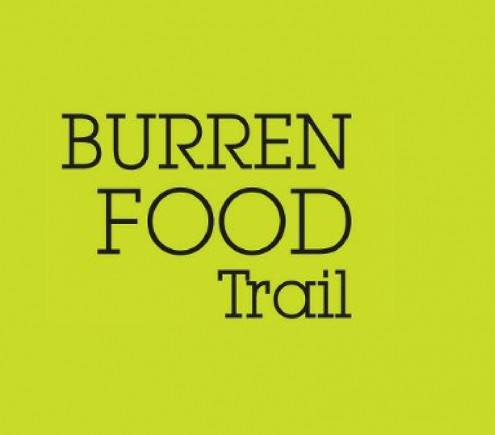 Brought to you by members of The Burren Food Trail, this unique pop-up dining event in memory of Nuala O’Faoláin will feature delicious fare and great entertainment, both over and underground at Doolin Cave – not to be missed! Tickets on sale now. Friday 14th September 2018 at 6pm, to go underground at 6.30pm. Tickets are priced at €69 per person and full event details and ticket info can be found here. 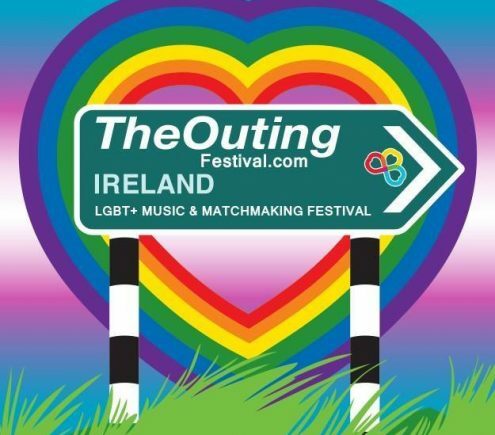 The world-famous World Famous Gay Music & Matchmaking Festival ‘The Outing’ returns 5th & 6th October 2018. With Irish and International acts and stars, LGBT+ singer-songwriters to pop-up clubs, drag performances, comedy, live music and more, it is a great weekend away on Ireland’s stunning west coast. The two-day-long festival takes place in Lisdoonvarna, just over 7km from Doolin Village – easily reached by car, bus or taxi. Friday 5th & Saturday 6th October 2018. Day and weekend tickets available. Full event details and ticket info can be found here. 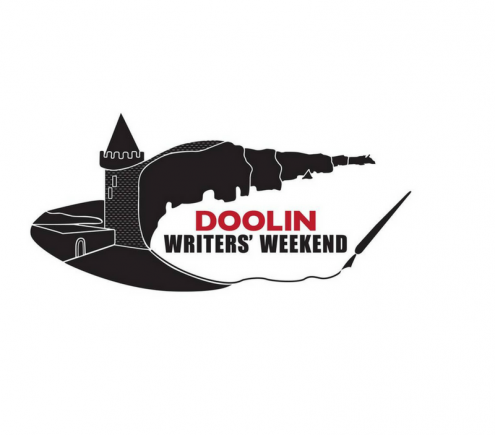 Experience a literary weekend packed full of inspirational workshops, readings, advice from industry insiders, events, music sessions, open mic and great food at the Doolin Writers’ Weekend. Tickets on sale now. Friday 25th – Sunday 27th January 2019 from 12pm. Weekend Tickets are priced at €99 per person. All workshops €40 per person and all events €10 per person for non-weekend ticket holders. Full event details and ticket info can be found here. We hope you found this list of upcoming events useful when planning your autumn or winter escape to Doolin! Don’t forget – Doolin holds regular traditional music sessions and entertainment in its pubs and venues throughout the year. For those who prefer a more intimate setting, visit Doolin Music House, where you’ll experience storytelling and a traditional Irish music session, as you sit around the cosy fireplace of this charming, homely setting. Need somewhere to stay in Doolin for an event? Check out Doolin’s range of accommodation here. Alongside these great events, there are plenty of other things to see and do in Doolin, with local activities, craft shops and more within and around the village – find out more here. Doolin is also home to a great selection of local eateries – find out more here. Check out our Special Offers page for all current special offers available in Doolin, such as 20% off boat tours with Doolin2Aran Ferries – quote: doolintour20 (excludes charity events). Remember to check our website event page regularly to see what’s on, as we add new exciting events as they arise! View all upcoming events in Doolin.